I mean no disrespect to Islam or the people of Iran. Moshen Makhmalbaf gives and insiteful article into this Ayatollah. My question is how has he strayed so far from Prophet Mohammad way to Allah. Mohammad wanted to spread the truth of Islam to the people and to live accordingly but the Supreme Leader as he is called swallowed the opium of Supreme Pride and its delussions of self which are strengthened by the luxurious life style he has become accustomed too. He is the only leader that I can think of that is above visitation adn communication with the other world leaders. He is enclosed by wealth and power not by Islam. Acording to this article he doesn't eeven take time to study and meditate on Islam or on God. He already knows Gods will for the people and the world, his own will. Would not the invisible Imam reveal himself as a spirit that leads the people to the will of God and not through the thoughts of one man. The danger in which this secluded cleric has is that he is supposedly a leader of Islam but who wants to be the King of Islam and will do anything to maintain his lifestyle and his believed importance. 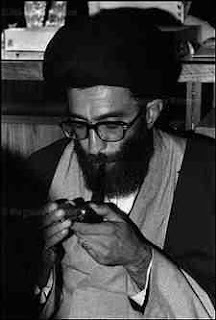 Ayatollah Khomeni was a leader of the people. This man wants every one to believe in and revere him. The will of the people will decide where their beliefs lie and what path they believe is best for them. If he is the leader of Iran then he should remove the current president and all those who decieved the people and beging dealing with the people and the world himself. Iran does not need a Historical king it needs a devoted leadership . Devoted to the people freely expressing their will. I pray that in his Knowledge is the peace of the mankind that is addressed in the greetings of Islam and not just who doesn't belive what he thinks they should believe. I pray he will let the leadership of the people be governed by the people chosen by the people. He has forgotten that the people of iran are his people (brothers and sisters) not his slaves. May the "Father of life" Bless the people of Iran with the Freedom and Peace that will be a blessing to ALL Mankind. Quite an active schedule for an elderly, partially disabled man. Interesting to read that Khamenei has travelled to India. 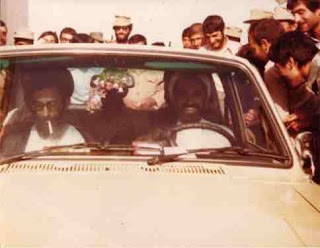 It's recently been widely reported in some US quaters that Khamenei has never traveled outside Iran. Apparently, that claim (among many others) is not true. I thought the SL was still using Shah-era IRIAF aircraft. Apparently, it turns out he is using a newer, personally outfitted Airbus. Also, interesting that the Artesh is provided with its own weekly audience (distinct from Sepah, which apparently is provided seperate, equal time). Intriqued by the toxic detection device- how was it obtained given US sanctions? What is the make of the device and how old is it? A fascinating insight into the life of a despot. Thank you for your research - I look forward to Part 2. His time for honoring himself will soon be at an end. I hope he dies in poverty and disgrace, for the crimes he has perpetrated on his onw people. From an old Mashadi family here. He used to sing Rozeh for us and was particularly known for bumming cigarettes. He used to ride to and fro often on a two cylinder motor bike. Truly an accidental dictator. he surely is very interesting and clever person. By the way, what did you mean by "some people would be held accountable because of the color of their cars"? Interesting read. Very detailed. Seems the author was a part of all transactions that took place. He has every single piece of information. Very well written. Good matter for a thriller. But how do you prove all this Mr Author? I am not among those who follow the principle of reading is believing. Newspapers around world have been pulled into a trap by this blog. “Power tends to corrupt; absolute power corrupts absolutely.” No matter what culture,race,or country it always seems to hold true. Very good article. Thank you for the insight. typical hypocrit muslim shithead ...... special rules apply to him because he's got a god complex can't wait to see him overthrown , disembowled, and have his liver squewered on a stick and paraded thru town !!! creep! (This DOUCHEBAG is not worthy of running even a Public Toilet, never mind a nation). first of all you are twaddling, these are those truth that no one has doubt about it. such assholes like you makes this world dirty. 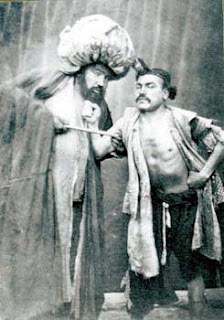 I am looking forward to seeing the day when already-sinister Khamenaee and his ancestor reach a pariah status openly in every individual's eyes in all over the world as Hitler. That time is not that far. God will certainly avenge the oppression and murders he commited by thrusting agony in every single limbs of his and his already suffering wife's and satanic son's, Mojtaba,who is a true image of Satan. May this happen soon to be of paramount consolation to all genuine Iranian people. His number is up, and the countdown has already started on his dejection by the world. Looks like the LA crew is spewing crap again.. I never expected more than this from Islam. This pseudo-islamic regime made me and many of my friends and relatives to quit Islam forever and to seek refuge in Christianity! cucristianity is the logical route of polytheistic Talmudic shias. Sunnis rule. So the people of Iran struggle just to make ends meet and this Ayatollah lives it up and doing without nothing? So what is the difference between him and the former Shah???? "pedar-roond-eh" ** EDAAREH koneh !! i guess we are stuck between believing and not believing, who knows? I have few questions to the Author of this article: 1Q) what was the reason for him to leave Iran and in which year he left & why only he selected Paris(France) to live in? 2Q) For whom he is working now, & by what means he is earning his livelihood? 3Q)When was the last time He met Rehbar(Khamenie)and visited IRAN? If a Devil encounters a faithful then He also present unlawfulness in the wrapper of Theism likewise the author has also mixed some truth with of lot lies in this article. And as a Reader first we should know the authenticity of the author and to test this I have placed the above questions. This is just American & British propaganda against the Law-full leaders of IRAN, to hide their(American & Europeans)War Crimes. as the IRAN is the only Nation which is standing stronger and raising the voice against these Devils(ISRAELS& Americans) so they want to stop this while placing such fake articles. And I request all the readers of this article not to belief it as it is nothing but a joke without any authenticity. And also request to view the link posted below to know the Real fact about the IRANIAN Leaders. Copy & Paste the following link in your browser for the Truth. Ok so let's all believe these lies. I mean how can anybody sit there and believe this nonsense. Not one single shred of evidence has been brought foward for these outrageous claims and yet so many people can't wait to believe any negative about this man. In reality, it is very silly. Makhmalbaf is a liar and a hypocrite, and Khamenei is in reality a very humble and sincere person. Helloooooooo... its almost a month and no one has come up to shii3a's challange! where's the beef or is it all but lies???? I just wanna refer to Ataollah Mohajerani's Declarations - one of the activist in Green Movement - in Spring 2011 in which claimed that no one can find even a black spot on economic career of Khamenei and his family's. How much people should tolerate this kind of lies from YOU and your companions? bullcrap article, the author is a liar. Khamenei is a great man, stop spreading your nonsense. 1.) why he leave Iran. Someone know? Someone must be paying him. If you are so good in making up stories, you should have at least given a try at faking some photos to back up your claims. That way even more fart-heads would have followed your crap ..... Next time please be more convincing!! 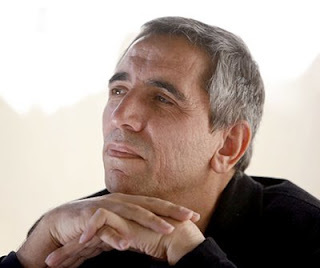 I think this is all very interesting, but if I was Makhmalbaf, I'd be unable to sleep at night, as this is pretty personal information about the Supreme Leader. Remember what happened to Fereydoun Farrokhzad? This is just American & British propaganda against the Law-full leaders of IRAN,(like Imam Khamenei) to hide their(American & Europeans)War Crimes. as the IRAN is the only Nation which is standing stronger and raising the voice against these Devils(ISRAELS& Americans) so they want to stop this while placing such fake articles. And I request all the readers of this article not to belief it as it is nothing but a joke without any authenticity.